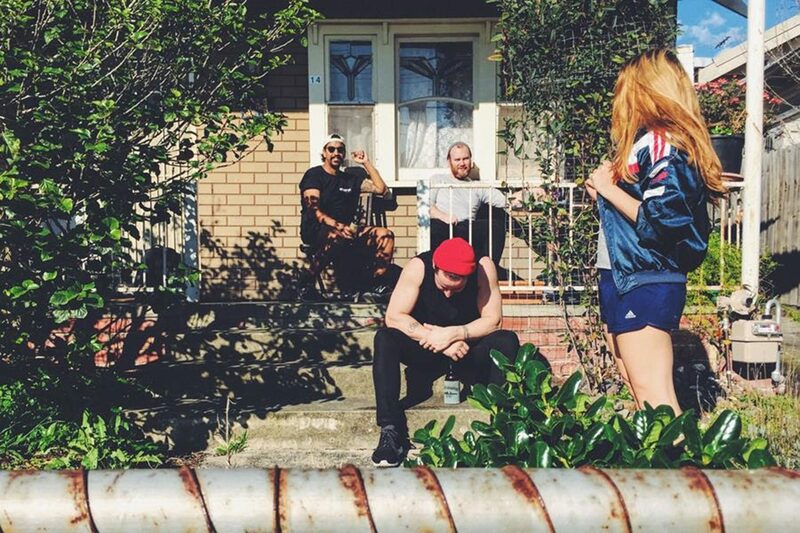 Press Club: "It's important to play music you love"
Meet Aussie newcomers, Press Club. Published: 11:45 am, January 30, 2019Words: Steven Loftin. Australia's Press Club are a four-piece driven by a love for tunes that dig deep into the heart of life, soundtracked by rapturous levels of melody. Fronting this glorious cacophony is Nat Foster. "It's a bit surreal because as soon as we recorded the first album, our heads immediately went to ‘Alright, let's write the next album! '," she marvels over the phone. "That was quite a while ago now so it's interesting, [but] it's fun! It's exciting having this opportunity to have this thing that we've worked so hard on to get to new people in a different country." A couple of years ago, for roughly six weeks, they burrowed themselves away, spending time working out exactly who they, as Press Club, are. Out of the forty songs they penned, these were then honed and crafted into the dozen that makes up their debut album, 'Late Teens'. But that was just the beginning. Press Club, completed by guitarist Greg Rietwyk, bassist Iain McRae and drummer Frank Lees, signed to Hassle Records last year, which means 'Late Teens' is reaching far further than the four friends ever thought possible. "When we got into the room and started playing heavier and faster music, I sang louder and sung faster, and got a bit angrier," Nat smirks. "It felt natural; it felt easy." Littered across 'Late Teens', the urgency of Press Club flows seamlessly into melancholy and back again, on a bungee cord between angst and aching. For Nat, growing up in Ballarat, a city not know for its musical heritage, she found opportunities somewhat lacking compared to the rest of her bandmates. "A lot of the music I listened to was from the radio or from going into music stores, looking at different CDs and things like that. I never had a lot of opportunities to go to gigs in Ballarat, so I never got to see a whole lot of live stuff," she explains. On rare occasions she did get to a gig, it was usually small local acts, who themselves had an impact upon a young Nat. "It was really inspiring." "I never grew up having the ability to go and see live gigs because I was too far out and too young," she continues. "I don't know if the other guys were as limited as I was, because they talk about going to heaps of gigs when they were younger. "It's quite dependant on what your family is introducing you to; I know Ian's got an incredibly musical family, and so does Frank. They went to heaps of gigs as pre-teens, and they were playing music in bands for ages. I feel like they were probably less isolated?" With Press Club plotting their first foray to UK shores this spring, they've been hitting the road hard. "We just finished our second headline tour a few days ago. Having people come to our shows across Australia, that's surreal," Nat says. "Back when I was younger, getting that many people to buy tickets to a hometown show was hard, but it's really gratifying having this recognition. It's just connecting with people!" Does she feel a new connection with people herself, given that she's now fronting a band who drive home a feeling of honesty and openness? "I don't know, I never really talk about my lyrics," she admits. "I get a lot of people saying that they love something and that it's connected with them, but it's never for the same reason that I originally connected with the song. [That's] always really surprising actually. It's beautiful, connecting to a song completely for your own reason." "For us, it's always been important to be playing music that you love and doing things that you love doing and being good to people," she continues. "When we're touring and stuff, we make a substantial effort to make sure that support bands we're playing with feel like they're included and a part of something - because they are. Growing that music community is so important." 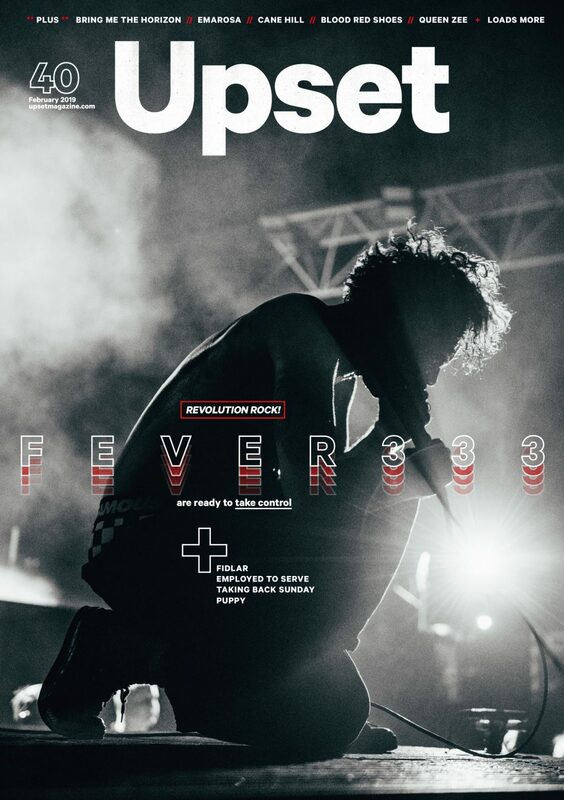 Taken from the February issue of Upset. Press Club's debut album 'Late Teens' is out now.